Are not our hearts burning within us? Are not our lives shared as one bread? Here in our hands, here in this place. may we know the Lord. Jesus our hope, life from the dead. Di ko pa to narinig sa wedding? Hi Mav! Visiting from my blog, Spices of My Life. 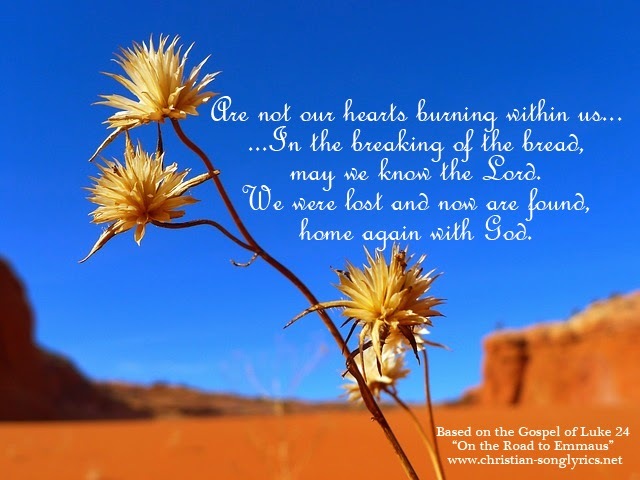 You have a great blog - a great source for Christian song lyrics. Hope you can embed Youtube in your posts.